This buzzing coastal metropolis, located in the Kwazulu Natal province of South Africa, provides year round activities and fun for any visitor. The sunny beaches and the warm water of the Indian ocean invite thrill seeking adventure lovers, beach bums, surfers, food lovers and basically anyone to visit Durban during any given season. Durban is a melting pot of African, Asian and European influences, which is shown in the architecture, the food, the people and the culture. 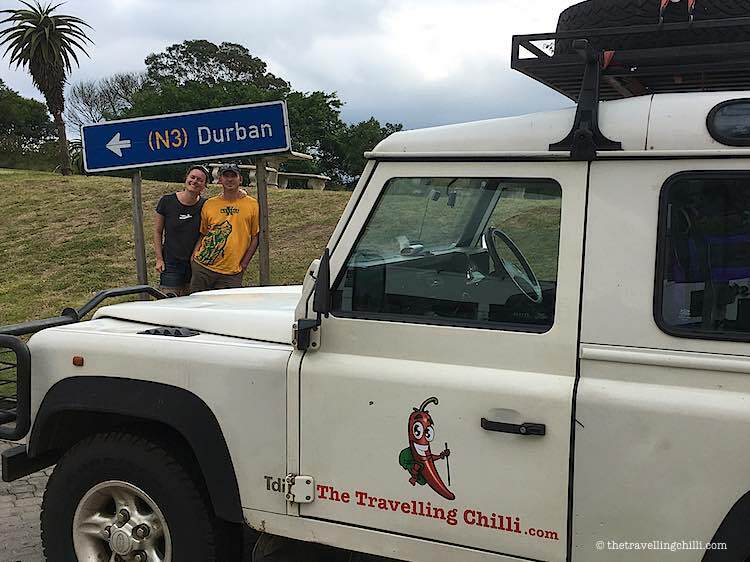 A great city for a stop over on a South Africa road trip, a place to enjoy the holidays for the whole family or a place to meet like minded adventure seekers, all these are some great reasons to visit Durban. Aside from visiting some of the most beautiful beaches in South Africa, Durban offers some fun things to do for anyone on a budget. Apart from that, there are also plenty of great things to see in Durban. 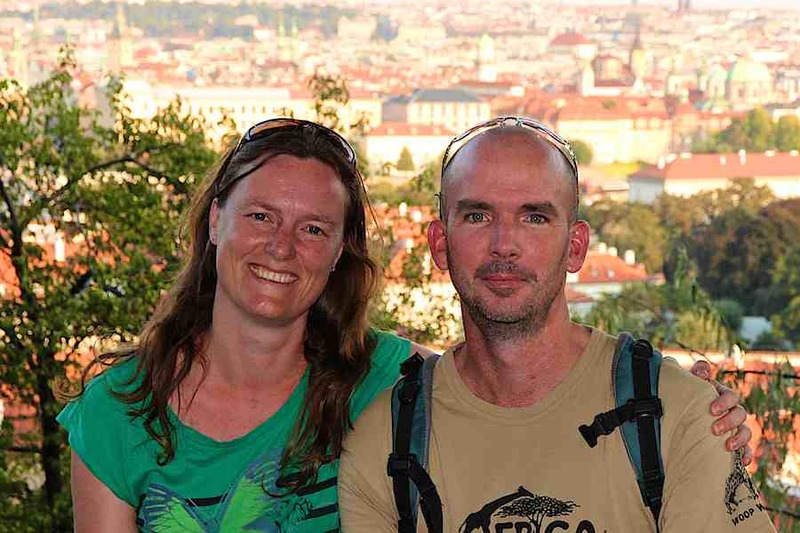 This is especially interesting if you have just came back from an exciting safari in South Africa, you bought too many beautiful souvenirs in Cape Town or you enjoyed all the highlights of the Garden Route. With that said, I think it’s great to know there are still plenty of cheap things to do in Durban. 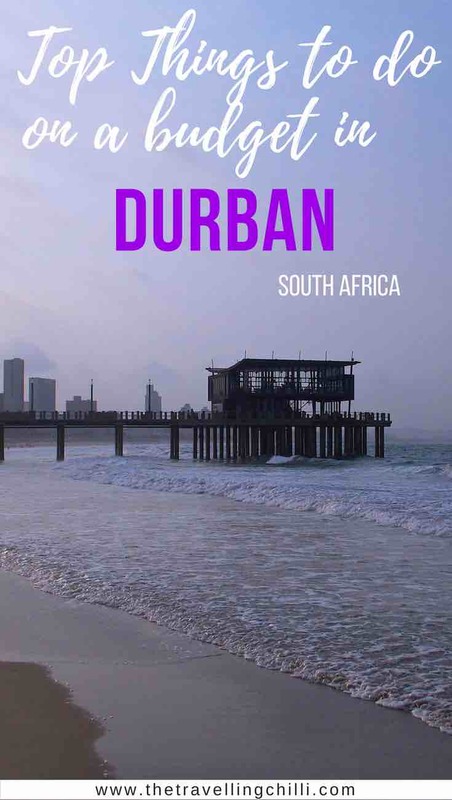 So, I have created this list of what to do in Durban based on my personal experiences and that I think are great things to do in Durban under R100, or about US$ 8 at the time of publishing this article. 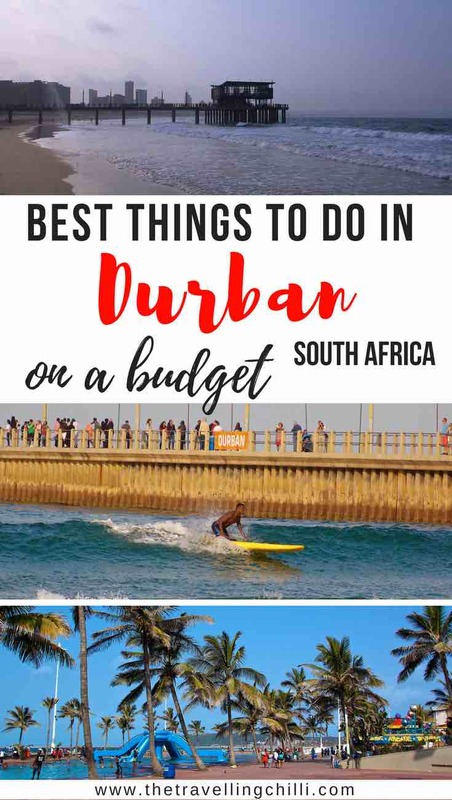 Here we go with a list of my favourite Durban activities on a budget. For your information, the currency in South Africa is called the South African Rand, and is mostly shortened with the R, but sometimes ‘ZAR’. 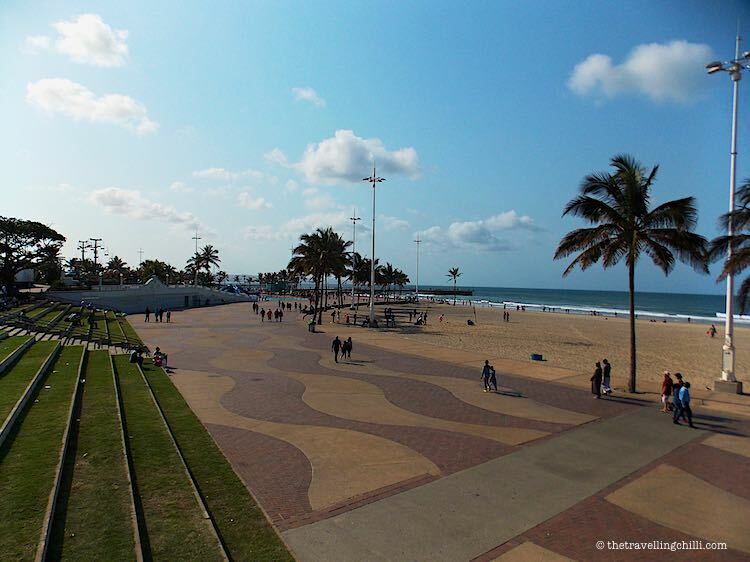 The ‘Golden Mile’ is a paved beachfront promenade that runs from Ushaka Marine World all the way to the Suncoast casino. 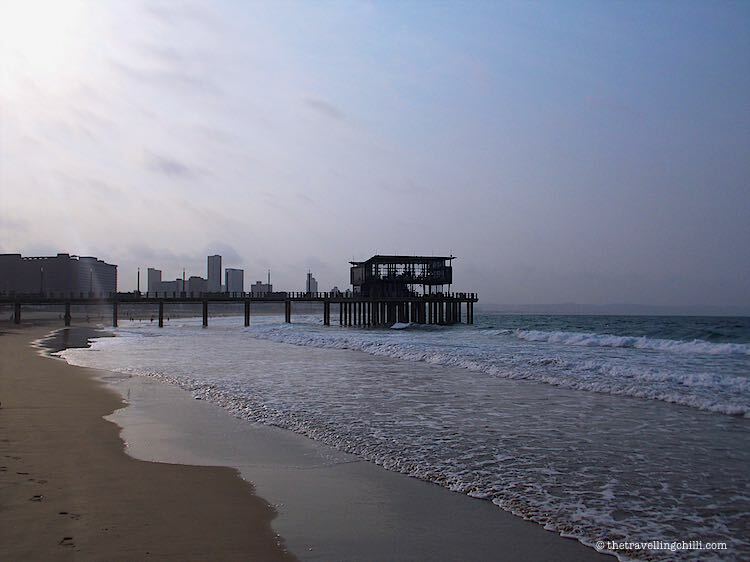 Stretching along the various beaches, the Golden Mile is one of the most popular attractions of the city of Durban for both tourists as well as local Durbanites. On any given day you can find people cycling, roller skating, jogging or just taking a stroll with the whole family. Especially during the early hours of the morning and at sunset a lot of local people come for a walk, a surf, or their daily run. When we stayed in Durban I used to go every day for an early morning walk. I was always amazed how many people were out doing their early morning activities as soon as the sun came up over the Indian ocean. Visiting the Golden Mile is definitely a must do in Durban. Along the Golden Mile there are various ‘swimming beaches’. The golden sand and the warm Indian Ocean invites for a relaxing dip. The beachfront is divided into various areas where it is clearly indicated where you are allowed to swim. There are life guards that keep a good eye out for your safety. It is highly recommended to stick to these ‘swimming beaches’. You should never underestimate the strong currents, but the life guards will indicate properly where and if you can swim. 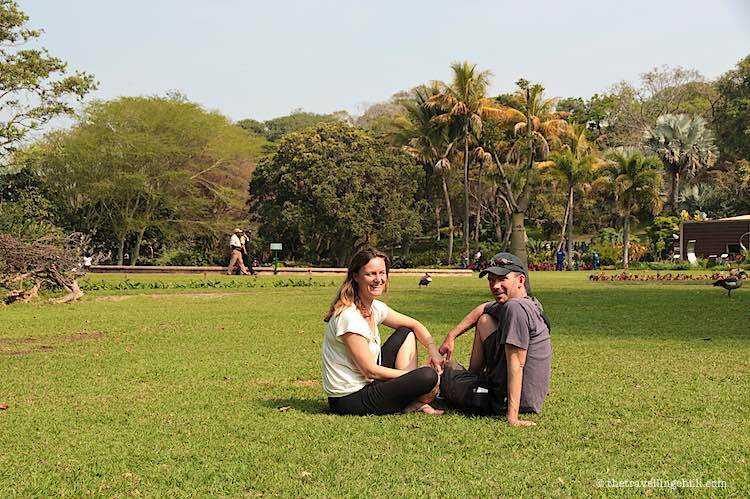 Established in 1849, the Durban Botanic Gardens are the oldest surviving botanical gardens in Africa. Its lush greenery and great variety of beautiful flowers and trees invite you for a nice and relaxing stroll in the gardens. The large trees provide nice shade when visiting on a warm day and there are various places to sit, relax and enjoy the beauty of nature in the middle of a bustling city. The gardens are home to a very wide collection of both indigenous and exotic plant collections providing lots of beauty to discover. 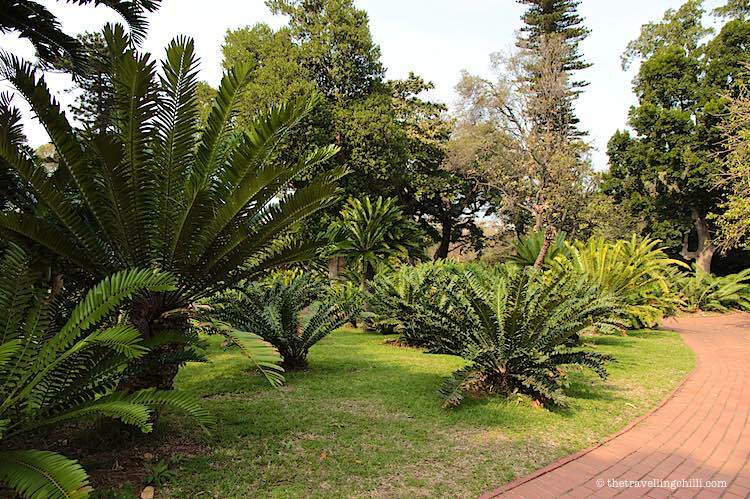 Don’t forget to visit the worlds rarest cycad collection. Did you know that cycads are the oldest living seed plants? Address: 9A, John Zikhali Rd, Musgrave, Durban 4001. No don’t worry, when ordering a bunny chow it does not mean you will be eating an actual bunny rabbit. A bunny chow consists of a hollowed out half loaf of bread filled with a tasty Indian curry. This South African food dish was created in Durban many years ago when Indian immigrants voluntarily arrived in South Africa to work for pay in the sugar cane fields around Durban. Currently it’s getting more popular in other parts of the world as typical South African street food. One of the advantages of Durban being on the east coast is that it allows you to watch the sunrise over the Indian ocean. The sunrise in Durban is early, especially during summer time, when it comes up just before 5.00 AM. While staying in a hotel on the Durban beachfront facing the ocean you often have the privilege of watching the sunrise from your bed, while enjoying a scrumptious room service breakfast, 50 stories up in the air. But other than from your hotel room, another place I highly recommend to watch the sunrise is at the Moyo Ushaka Pier near the harbour breakwater. Fee: Free of charge, the sunrise that is, but not the hotel room, nor the room service breakfast. The Moyo pier bar is probably the most beautiful place for sundowners in Durban, even though the sun goes down behind the city. 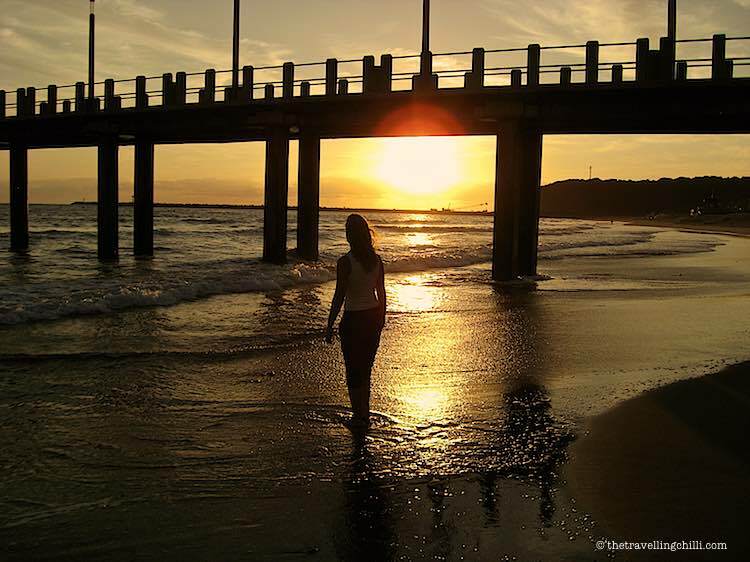 The location right at the end of the Ushaka pier is just idyllic and makes it one of the more romantic things to do in Durban. It provides fabulous views over the Indian ocean and the Durban skyline. On top of that, Moyo provides a great way to celebrate the African experience at its best. You can also watch the ships coming and going, and there are many considering Durban is Africa’s biggest and busiest harbour. As of writing this Cunard’s The Queen Mary II and The Queen Elizabeth as well as MSC’s Sinfonia do drop in from time to time on their world tours. 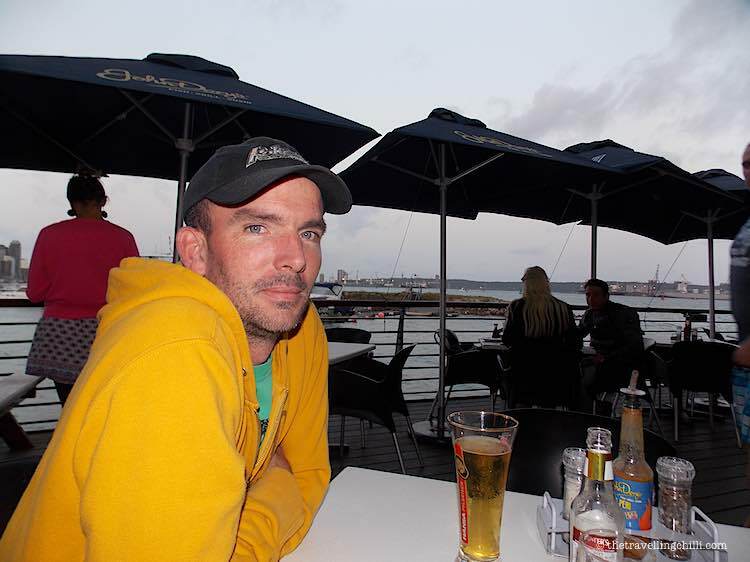 Address: The pier at Ushaka Marine World, very near the harbour entrance. Fee: Under R100 for 1, maybe 2 drinks. Watching the cruise ships: free. Taking a cruise: not free. Located by the ocean, there are lots of water activities in Durban. 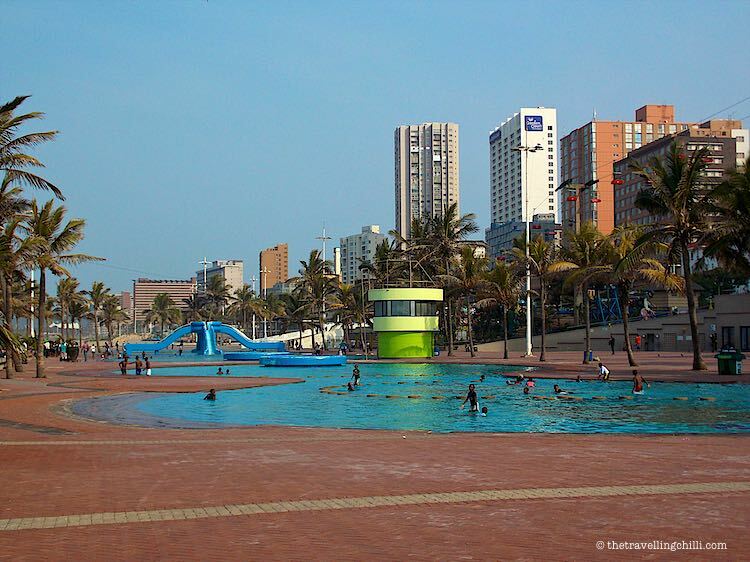 And for those who don’t like swimming in the ocean but love to be close to the beachfront, the famous salt water Durban swimming pools are the place to be. Various splash pools provide lots of family fun. During the weekends it can get very busy with lots of kids splashing around. Wilson’s Wharf offers a great experience of food, drinks, performances and boat life. With a variety of tasty restaurants and food outlets, Wilson’s Wharf is a great place to go for sundowners and enjoy the abundance of fresh food that Durban has to offer. While sipping on a cocktail you will have one of the best views over the Durban marina and harbour at sunset. Don’t forget to have a look at the nearby indoor craft market just next to the parking area. If you love to eat Indian curries, Durban is the place to be. 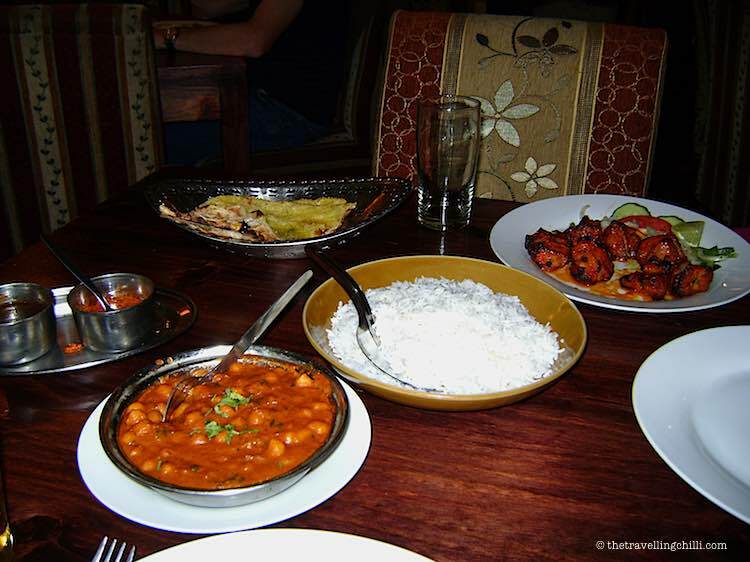 Since Durban is the city with the largest Indian population outside of India, there are plenty of restaurants serving a real Indian curry, ‘Durban style’. 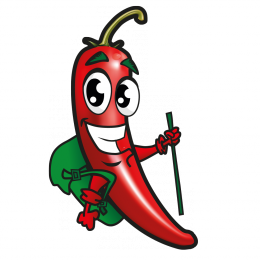 There are plenty of restaurants in town to choose from serving Indian cuisine for any type of budget, from samoosa’s, tandoori, roti’s, biryani to the best curry buffets. Everywhere along the Durban beachfront you can see the colourful Zulu rickshaw runners. These runners are pulling a rickshaw, which is a two-wheeled cart with seats for two people. This human powered mode of transport is an iconic sight in Durban and more specific to the Durban beachfront. The Zulu runners are dressed with traditional African Zulu clothing and large decorative head dresses. It’s a great way to visit the city and get some good inside information about the Zulu culture. Taking a city tour with a rickshaw is one of the fun things to do in Durban that should not be missed. Fee: Depending on the ride and the distance, the Zulu Rickshaw runners charge various prices of which most will be under R100. If a city tour with one of the Rickshaw runners is not your thing, the Ricksha Tour bus is a nice alternative. 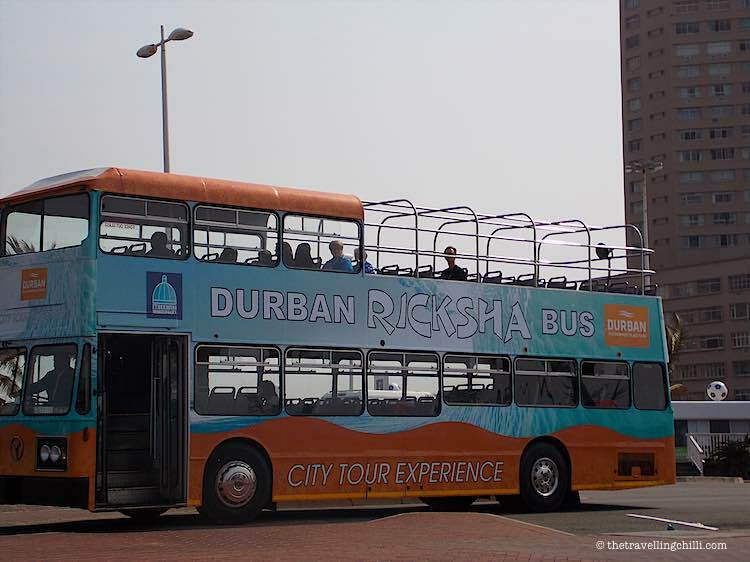 Twice a day they offer a three hour tour through the city, visiting Durban’s main highlights. The starting point is at the Tourist Information Centre at North Beach. 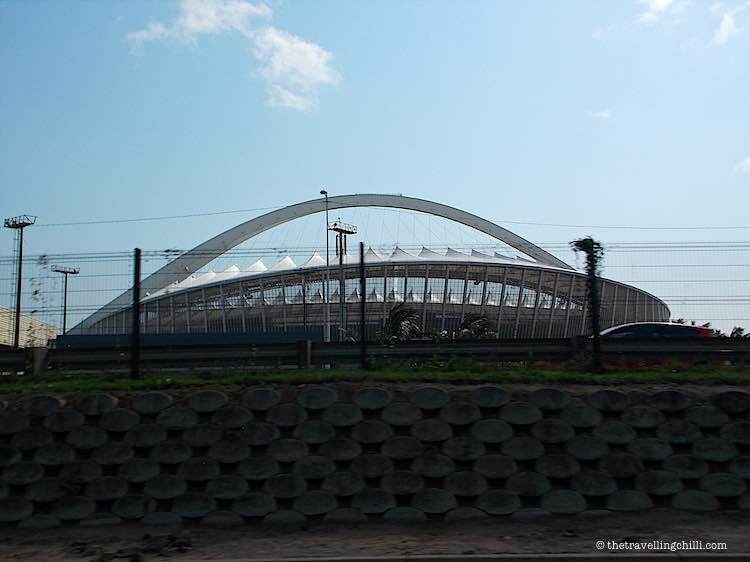 The Moses Mabhida stadium was built in 2010 to be one of the host stadiums for the soccer world cup that took place in South Africa. 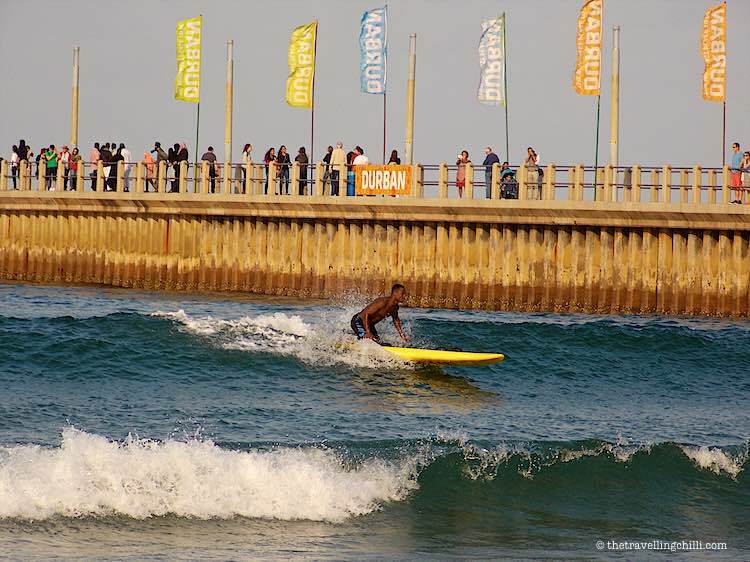 Apart from the sporting events, it is the perfect location for fun-seeking people to get an adrenaline rush in Durban. Many will go for the ‘Big Rush Big Swing’ which has officially been named as the world’s tallest swing by the Guinness Book of Records. Sadly, this particular activity is not one of the things to do in Durban under a R100 budget. No problem though, since there are a few other great activities in the stadium that will fit the budget, like the sky car ride, stadium tour and the adventure walk. Fee: More info about the rates for the various activities can be found on their website. With a multitude of various beach wear, adventure and curio stores, the Village Walk at the Ushaka Marine World provides a unique shopping experience. This shopping mall is partly indoors but in certain areas provides great views over the Ushaka entertainment area on the one side, and the new residential development on The Point on the other side. Fee: Entrance to the Village Walk shopping centre is free, the items in the shops are not. Snakes, lizards, frogs, spiders and various other amphibia and creepy crawlies play the main role in the Dangerous Creatures zone. They provide a fun thrill for the whole family. The entrance can be found inside the Ushaka Village Walk. Fee: More info about rates and opening times here. 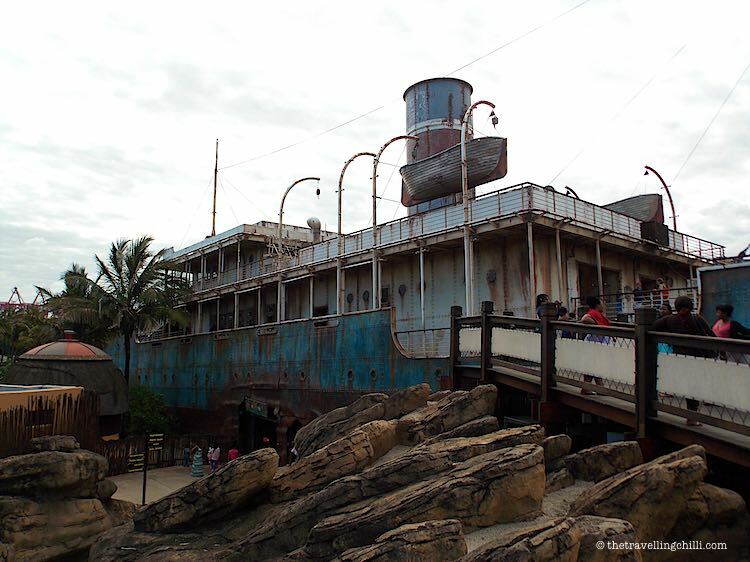 A replica of a 1920’s cargo steamer forms the entrance of the Ushaka aquarium and has 2 restaurants. The Cargo Hold restaurant has a spectacular setting where you can enjoy your dining experience right next to an aquarium tank window with sharks and other exotic fish in it. Part entrance to the ship is allowed without accessing the restaurants. This provides a great view over the whole Ushaka park, as well as part of the aquarium where it’s possible to see into the shark tank from above. Local artists create some amazing masterpieces out of the beach sand along the Durban beachfront. Life size sand sculptures can be seen in various places. These artists guard their creations day and night and you can support them by giving a small fee for their work, especially if you take photos. Fee: A small tip for the artists, in any major currency. 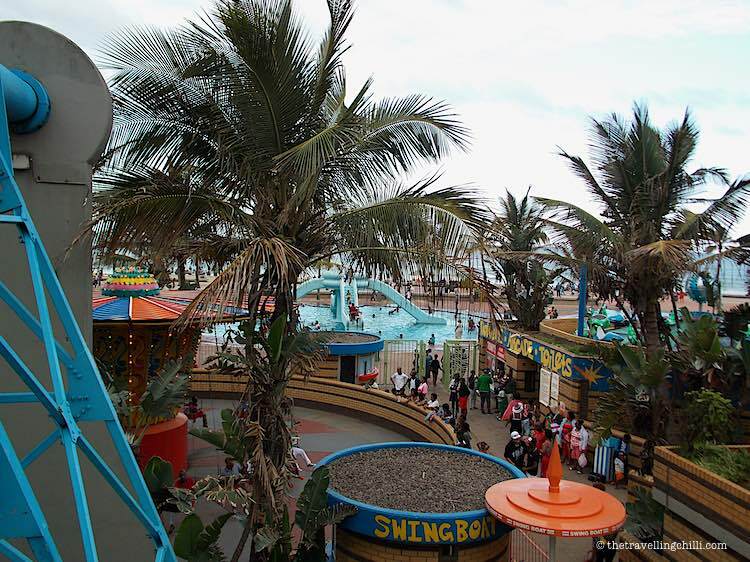 Funworld is a beachfront amusument park located in the middle of the Golden Mile which provides great entertainment for the whole family, both young and old. There is a cable car, various rides and the activity that we like the most; the bumper cars / dogems. Durban is one of the places to be for surfing in South Africa as due to the mild tropical climate and the warm water of the Indian ocean, surfing is possible all year round, most often without a wetsuit. This is also one of the main reasons it attracts lots of surfers from around the world. 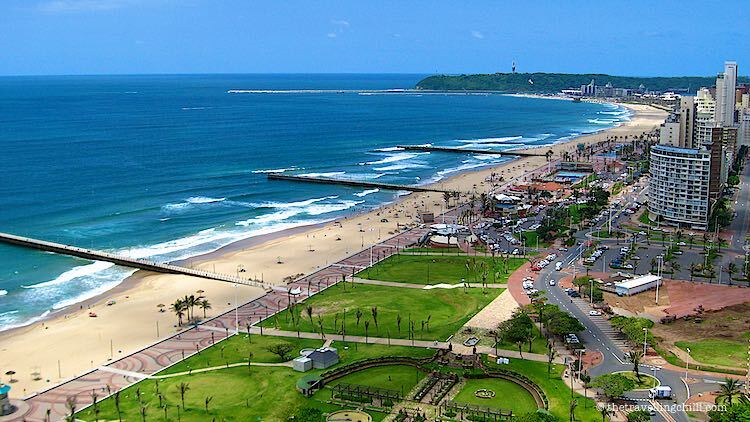 Also the beaches located in the vicinity of Durban, like Umhlanga, are very popular surf locations. As soon as the sun rises, you can see surfers in the ocean, waiting for the perfect wave. Fee: Free of charge when you bring your own surf board. Various places along the beachfront will rent surfboards, but the price will be over R100. Established in 1984 and home to over 800 birds and 220 species, Umgeni River Bird park is a nice thing to do in Durban on a budget. Open all year round, the park offers bird shows, bird feeding and various walk through aviaries. It is lots of fun for the whole family to see both indigenous and exotic bird species. The most iconic sight of Umhlanga is without doubt the amazing walebone pier. It’s a very popuar place and great vantage point for photographers, especially during sunset and sunrise. The pier also provides a great view over the lighthouse. 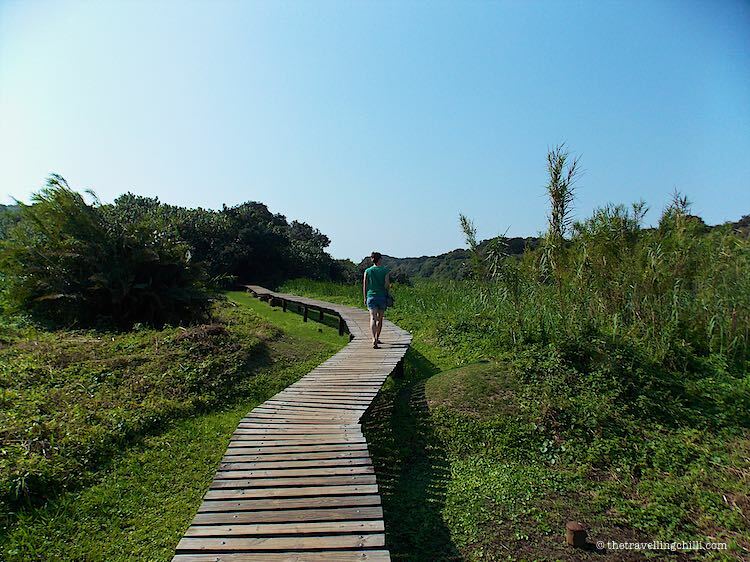 This 26 hectares nature reserve can be visited by means of various wooden board walks, laid out across the lagoon. The walk takes you through indigenous tropical forests, wetlands, sandy shores and dune forests. There is a small car park next to the Breakers resort from where to start the walk. 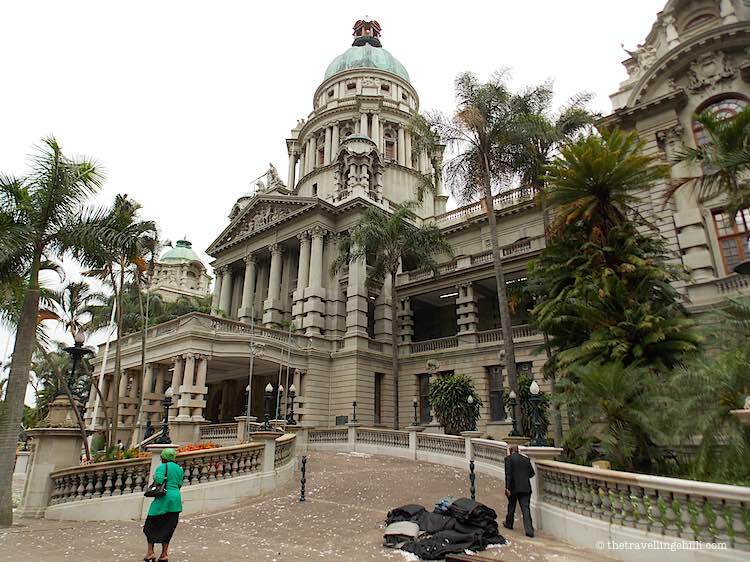 The Durban City Hall was opened in 1910 and is still today one of the most famous landmarks of Durban. The design was based on the Belfast City Hall, making it an almost exact replica. 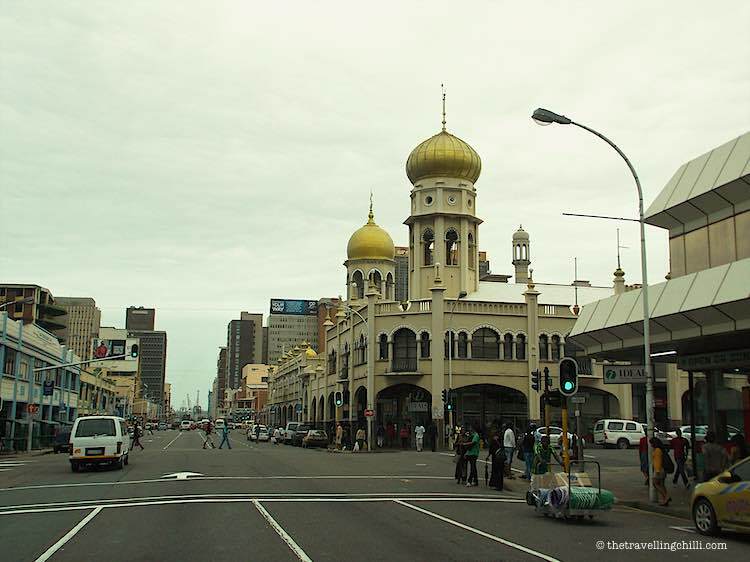 The building shows the impressive architecture of the Durban inner city. Currently the building houses the Natural Science Museum, a public library and the Durban Art Gallery. 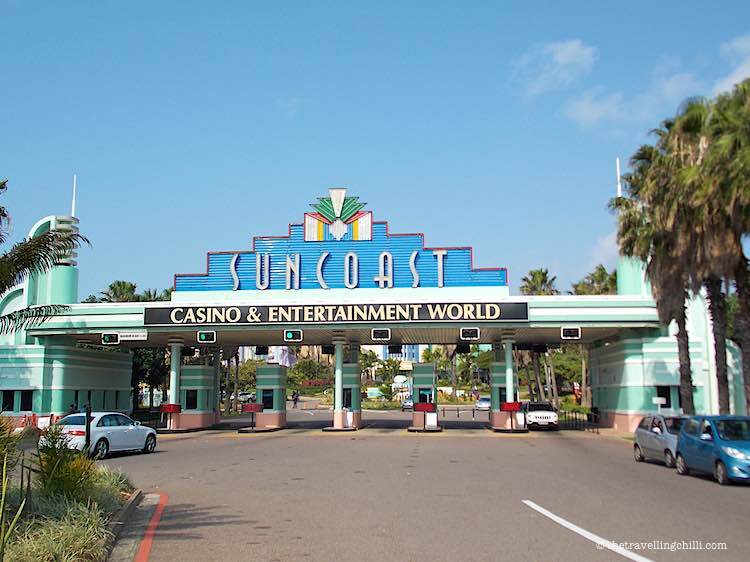 One of the things to do in Durban when it rains is to visit the Suncoast casino. Besides the casino itself, they offer a whole entertainment complex, complete with bars, restaurants, shows, movies and even a beach front. A nice place to go out, there is enough entertainment to relax and enjoy for the whole family, even if you are not into gambling at all. The Suncoast casino has a large parking which charges a flat rate of R10. The Pavilion is one of the biggest malls in South Africa, of which there are many, and is locally known as ‘The Pav’. The Pavilion offers entertainment for the whole family, from shopping, movies, bowling, a games arcade, a large food court and a large indoor golf putting course. There is a large parking area for a small fee, when visiting by car. 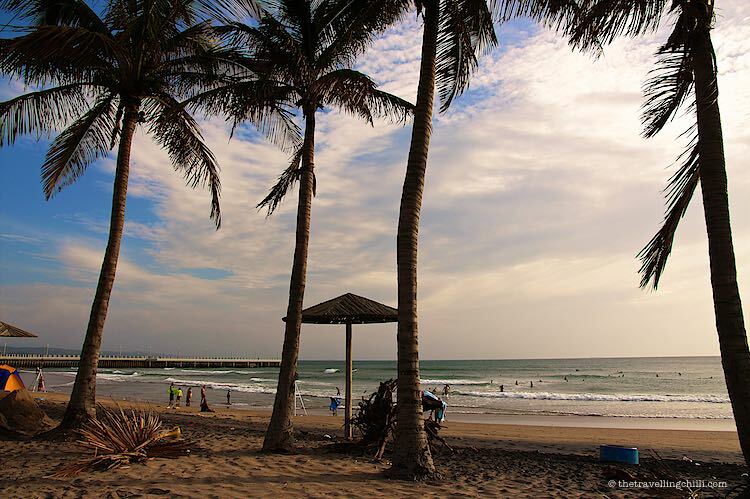 It hardly ever gets cold in Durban, when even in ‘winter’ you can enjoy tropical beach temperatures. However, in order to get your winter fix, you can go to the Durban Ice Rink. The international ice area is located in the heart of the city centre and offers various activities such as disco ice skating, birthday parties and team building. A great place to visit in Durban when it rains and you still want to take part in a nice sports activity. It is clear that Durban is a city for all budgets, with plenty of things to do in Durban on a budget and as you would have noticed in the article, there are also plenty of free things to do in Durban. Which one of these things to do in Durban would be your favourite activity? Do you have another budget suggestion of what to do in Durban? Walking along the Golden Mile sounds perfect to me Sabine. Right up my alley. Because I dig beauty of course but getting in some cardio is also important to me. See gorgeous places and burn those calories too. Fabulous post. 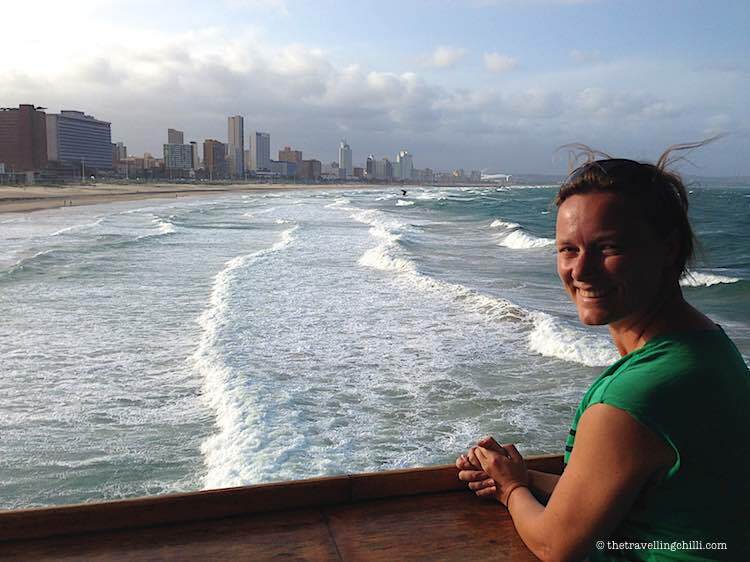 Gosh there’s a lot to do in Durban. I would love to see that rare cycad collection!